Outdoor group portrait of artist Guido Nincheri and members of his studio. The photograph was taken around 1930 in Montreal, Quebec. Guido Nincheri is standing at the centre of the portrait and is wearing a white smock. 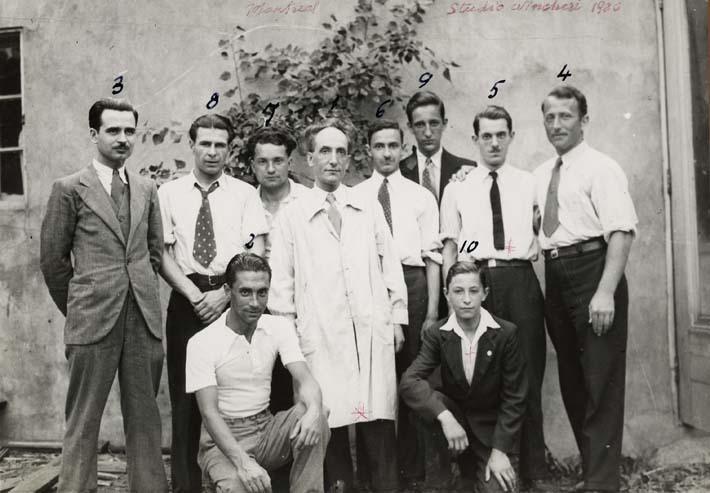 Fellow artist and internee Vincenzo Poggi in seen kneeling in the front row, wearing a white short-sleeved shirt. A window is seen at the far left and a door at the far right.